Thank you Robert for your lovely Poster! As you can see, I’ve managed to swing the Museum room at historical The Breakfast Creek hotel. The Breakfast Creek Hotel is mentioned in the Midnight Oil song ‘Dreamworld’, and has been a historical centrepoint of Brisbane for well over a century. Feel free to drop buy guys. Don’t bring too many big machines though. As I’ve informed them that we’re ‘A group of writers, and will be bringing some typewriters to write with’. 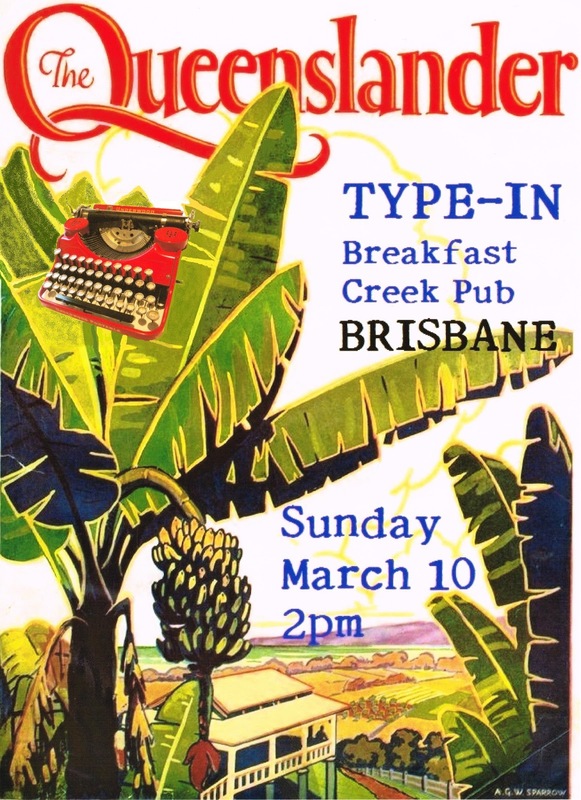 February 16, 2013 in Breakfast creek hotel, type-in. ← The seductive allure of my Valentine. Very nice poster. Unfortunately I will not be attending. The day long flight is just way too expensive. Adding this to the type-in page (to be launched maybe this week at http://type-in.org).